11003-76502 Te Kakahu skink (Oligosoma tekakahu) adult in muehlenbekia. 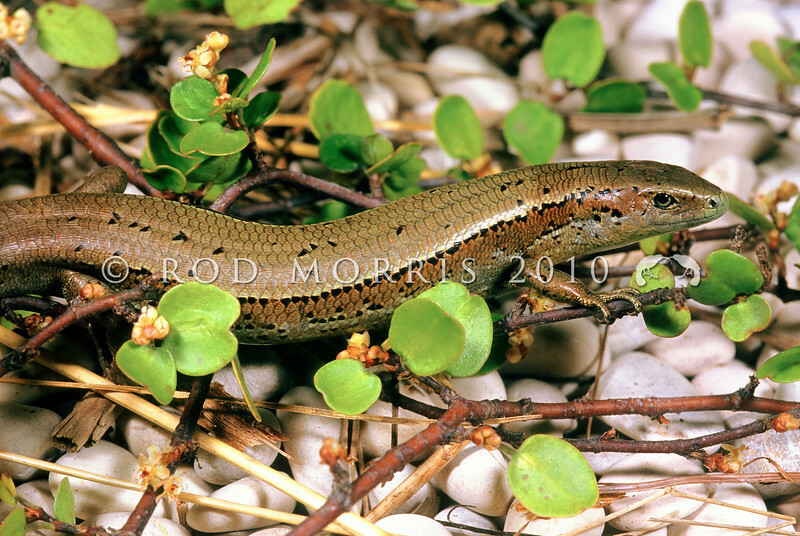 A morphologically unusual 'Cryptic' skink, but more robust, and with unusual black flecks on the back. Restricted to open coastal herbfield and prostrate shrubs growing on chalk chip strata at one location on northwestern Chalky Island.